On October 29, 1977, at the Town and Country Hotel in San Diego, an organizational meeting of the California Association of Medical Directors was held. Officiating at the event was Dr. William Dodd from Wrightsville, Georgia, then President of AMDA, and his regional officers Dr. Robert Webster and Dr. Morrison Brady. Dr. Robert Pullman, Dr. Paul Lorhan, and Dr. Milton Miller were selected as President, Vice President, and Treasurer. The Board of Directors was also installed. Subsequently, Dr. Paul Lorhan developed the CAMD Constitution and Bylaws. The first board of trustees included Albert Killian, MD, Wing Mar, MD, Ray Dann, MD, Paul H Lorham, MD, Phillip Loeb, MD, Robert Pullman, MD (President), Milton Miller, MD, John Cowles, MD, Harry Brookler, MD, and Seawright Anderson, MD. Dr. Mar was active in CAMD from the beginning. He played a crucial role over the years designing and implementing educational programs, fundraising, and providing leadership as a board member. He and his wife Joyce were always involved in the operational aspect of our annual seminars, and in the social events that cemented relations among our members and long-term care partners. Wing constantly inspired us with his vision of long-term care. He was a tireless fundraiser, which was often key to the survival of CAMD and its educational programs. He frequently met with California legislators to advocate for long term care, participating in the Little Hoover Commission. He continued as a board member when CAMD changed its name in 1999 to the California Association of Long-Term Care Medicine. He remained on the board until 2010. Dr. Mar was board-certified in Family Medicine and a Certified Medical Director with AMDA. Born in Canton, China, he grew up in Stockton, California. He served in the US Army 1942-46, graduated from U.C. Berkeley and Stritch School of Medicine, Loyola University, in Chicago. He completed his internship at Harbor-UCLA Medical Center, and his residency at Ventura County General Hospital. He had been a family and school physician in the South Bay of Los Angeles for over 25 years and had served as a medical director of an acute hospital and several chronic care facilities. 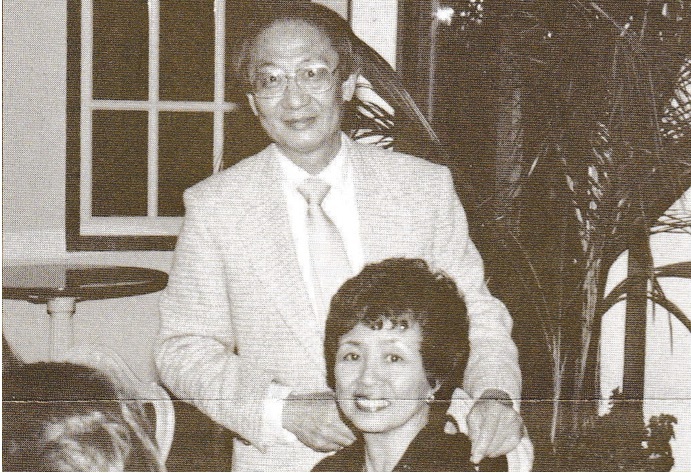 Comments on "Remembering Dr. Wing Mar, CAMD, and CALTCM"